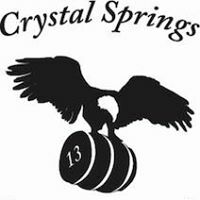 Crystal Springs Brewing Company - Get Involved. Make Friends. Enjoy Motherhood. Independent craft brewery with two brewing locations (one in Boulder County and the other in Louisville) and two taprooms, one at the Louisville brewery (657 S Taylor Ave, Unit E, Louisville, CO 80027) and the other in old town Louisville at 604 Main Street, Louisville, CO 80027.